This timer meets the needs of amateurs as well as professionals. It was designed to be flexible and highly customisable so it can be used for all kinds of trainings. There is one important difference between this app and other apps on the App Store. No need to change timer configuration when switching exercises all the time. Create and configure timers once and use them multiple times. 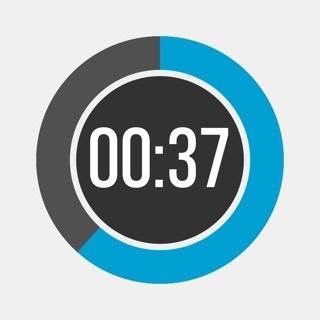 For more demanding users timers can be composed into entire workouts. 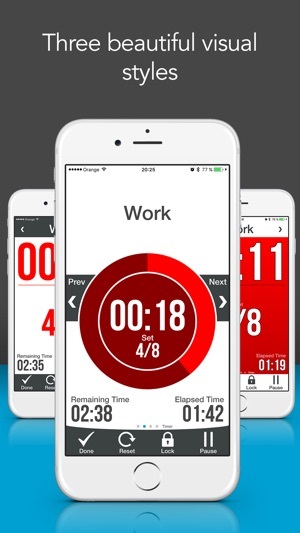 All timers and workouts can be categorized into groups. For each timer can be enabled location tracking. With enabled location tracking you can seethe route and location based statistics like distance, speed, pace and altitude. 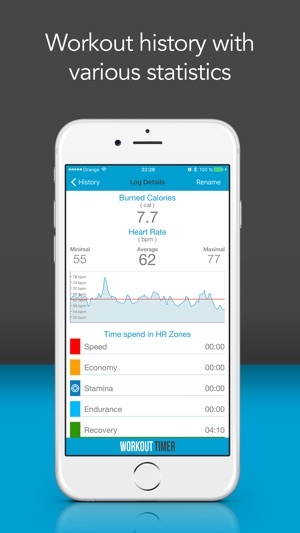 Another great feature is support for heart rate training using a Bluetooth LE heart rate monitor. User can create multiple profiles and switch between them. Heart rate training profile contains all settings for your training like heart rate zones and notification options. 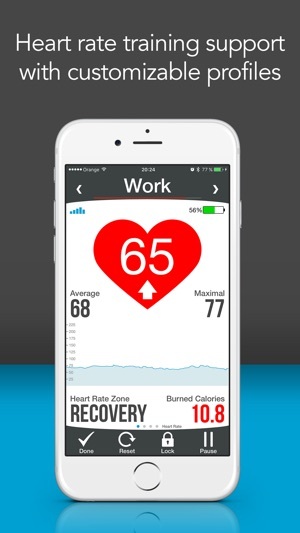 During exercising user can be notified about current heart rate and zone. One heart rate zone can be selected as target zone. Voice coaching can notify the user to adjust tempo to stay in current zone. The user interface is designed to be clear and readable from a distance. For notification can be used vibrations, sounds and also text to speech voice. No more looking at the screen to know the current interval. Each timer is composed from intervals. Each interval has a configurable name, duration, color and music. Music can be set also for whole timer. Your workout sessions can be saved into history where you can see how you performed during exercising. - Four timer types (HIIT, Circuit, Custom, Simple). 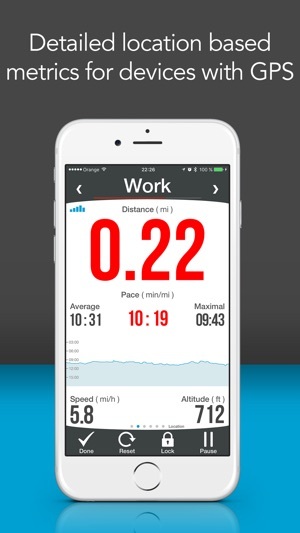 - Heart rate training feature. - User can select one of 3 timer visual styles. 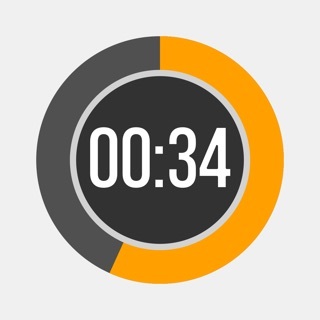 - Timer sounds: last seconds, every second, interval end, timer finish and metronome. - Timer vibrations: last seconds, interval end and timer finish. - Timer text to speech voice: interval name, next interval name, duration at beginning of interval, current interval time, counting down for last seconds and timer finish. 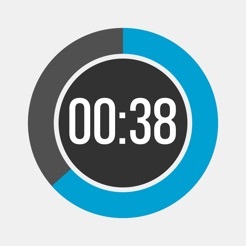 - Timers can be easily shared and duplicated. 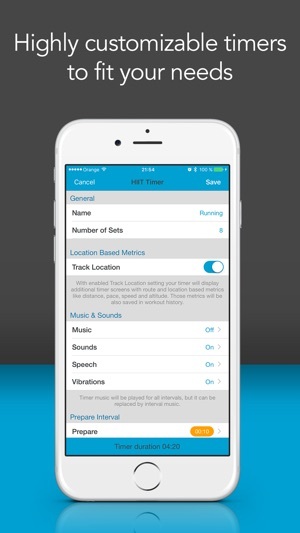 - Timers can be categorised into groups. 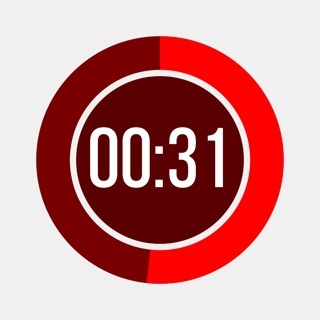 - Timer music (playlist, album or song). 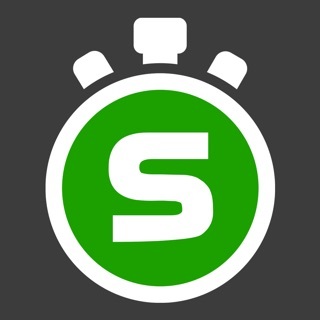 - Screens for running timer can be locked. - Each interval has configurable duration, name, color and music. - Runs and plays music on background. - Universal app, works on iPhone and iPad. - Max interval duration is 99 hours 59 minutes and 59 seconds. - Max number of sets is 999. If you have enable Track Location option please note: Continued use of GPS running in the background can dramatically decrease battery life. Workout logs will be by default saved without asking. I only wish for on thing-to be able to sync timers across multiple devices! Love that it saves workout & HR history. Needs a count up/down timer.